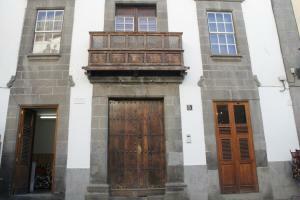 Last minute deals for hotels in Las Palmas de Gran Canaria. Discover the best apartments and hotels in Las Palmas de Gran Canaria and make your reservations at the best prices due to our amazing last minute offers. Here, you’ll find an excellent guide of hotels in Las Palmas de Gran Canaria, the capital of the island of Gran Canaria. The majority of the hotels in this city are located around Playa de las Canteras or near the commercial and financial centre. To check availability or price for any hotel in Las Palmas de Gran Canaria, select the desired dates using the calendars below. You might also arrange hotel and apartments by the most convenient order. To book, or read more information simply click on top of each hotel or apartment. 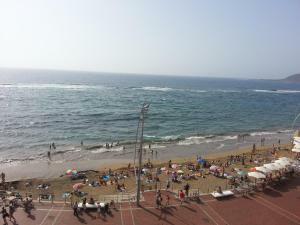 Only 100 metres from Las Alcaravaneras Beach, Alcaravaneras Playa is located in Las Palmas de Gran Canaria. Set on the top floor, the apartment offers beautiful city views and free private parking. Located 200 metres from Santa Ana Cathedral in Las Palmas de Gran Canaria, Vegueta I apartment offers functional self-catering accommodation. Puerto del Rosario Sea Port is 3.5 km away. Featuring a private outdoor pool and panoramic city views, Casa Llona is located in Las Palmas de Gran Canaria. The bright, spacious apartment offers free WiFi access and parking. 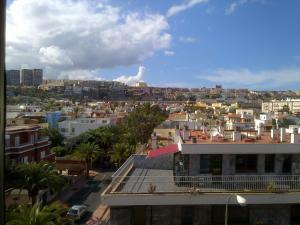 Apartamentos Vista Mar Las Canteras is just 20 metres from Playa de Las Canteras. It offers a spacious apartment with views of the Atlantic Ocean.